Patricia J. (Spitzner) Mullen of Allegan (formerly of Otsego) passed away Monday, May 31, 2010 in Allegan. Patricia was born December 25, 1929, in Kalamazoo to Arthur and Gladys (Woodyard) Mullen. She was raised by her great aunt and uncle, Goldie and Harvey Mullen, living in Kalamazoo then Colon, Allegan and Otsego. Pat enjoyed feeding wildlife and flower gardening. Surviving are two daughters and two sons, Lorraine (John) Maag of Otsego, Larry (Pat) Spitzner of Otsego, Terri Spitzner of Gobles and Tom (Tammy) Spitzner of Coldwater; 12 grandchildren; 16 great-grandchildren; a brother, Rev. Arthur (Linda) Mullen of Greenville; sister, Myrna (Clarence) Wise of Wyoming, MI; several nieces and nephews. She was preceded in death by her husband, Wilburn Dale Spitzner, and a sister, Arlene Sweezy. Cremation has taken place. A Memorial Service will be held at 1:00 P.M. Thursday at the First Congregational Church of Otsego, Pastor Don Ray officiating. Contributions in memory of Pat may be made to Wings of Hope Hospice. John A. Artis of Kalamazoo, Michigan, passed away Sunday, May 30, 2010. John was born August 19, 1965, in Plainwell to Larry and Mary (Dumas) Artis. 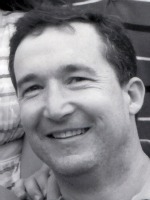 He was a 1983 graduate of PlainwellHigh School and a 1985 graduate of ITT Institute in Grand Rapids. For 25 years he was employed with D.L. Gallivans Office Solutions, eventually becoming co-owner of the company. John was a member of New Vintage Ministries of Kalamazoo and also a member of the National Rifle Association. In his leisure time he enjoyed farming, hunting and fishing. He raced cars and crew chiefed at the Kalamazoo Speedway and loved playing paintball, volleyball and mountain biking. He also enjoyed spending time with his dogs, Roscoe and Betsie. On October 15, 1988 he married Susan Brest, who survives. Also surviving are his children, Dale and Tara; his parents; his brothers, Bill (Tammy) Artis of Kalamazoo, Mike Artis (John DeGrush) of Kalamazoo and Matt Artis of Otsego; his grandmother, Lucille Osborn of Plainwell; his mother and father in-law, Donald and Rubie Brest of Otsego; sisters and brother in-law, Lori (Terry) Coe, Jan (Mike) McKee both of Otsego and Donnie Brest of Martin; many nieces and nephews. Cremation has taken. Friends may meet the family from 5 to 8 P.M. Thursday at the Friendship Wesleyan Church, 1285 – 102nd Ave., Plainwell, Michigan where a Memorial Service will be held at 11:00 A.M. Friday, Rev. David Bruininks officiating. Contributions in memory of John may be made to a scholarship fund for his children. 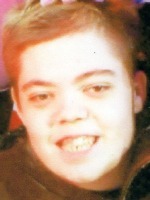 Christopher Adam Reece, Jr. of Kalamazoo, Michigan, passed away Friday, May 28, 2010 in Kalamazoo. Christopher Adam, beloved son of Christopher Reece and Jennifer (Brainard) Reynolds, was born March 31, 2010 in Kalamazoo. In addition to his parents, survivors include his grandparents, Cindi and Harry Brainard, Connie Teal and Frank Reece, Jr.; great-grandparents, Vivian Bowers, Shirley Brainard, David Teal and Joan Reece; aunts and uncles, Natalie Reece, Emily Rowe, Stephanie Laux and Jason (Tara) Brainard. Friends may meet the family from 6 to 8 P.M. Tuesday at the Winkel Funeral Home, Otsego, where funeral services will be held at 11:00 A.M. Wednesday. Burial will follow at Mountain Home Cemetery, Otsego. Jeremy Grayson Sweetland of Otsego, Michigan, passed away early Saturday, May 22, 2010 at the University of Michigan Hospital in Ann Arbor. Jeremy was born August 9, 1985 in Kalamazoo to Gerry and Lauren ‘Laurie’ (Moody) Sweetland. In 2004 he graduated from Otsego High School. He was a loving son and a wonderful friend and hero to many, who brought joy to everyone he knew. Jeremy was an excellent sketch artist, he loved action figures and super heroes, and enjoyed watching family TV shows. Surviving are his parents; his grandparents, Norm and Jan Moody; aunts and uncles, Deborah Sisto, Michael Ahlberg, Larry Sweetland, Jr., Kathleen Spencer and Brian Moody; great aunts, Edith Moody and Frances ‘Zeb’ Klumpp. Preceding him in death were his grandparents, Barb Moody, Larry Sr. and Margery Clare Sweetland. Cremation has taken place. Friends may meet the family from 10 to 11 A.M. Thursday at the Winkel Funeral Home, Otsego where a Memorial Service will be held at 11:00 A.M. Thursday, funeral celebrant Bill Rose officiating. Burial of ashes will be at Mountain Home Cemetery, Otsego. Contributions in memory of Jeremy may be made to Make-A-Wish of Michigan. Beth M. Nickerson of Cross Plains, Tennessee, passed away Friday, May 21, 2010 in Nashville, Tennessee. Beth was born April 8, 1950 in Plainwell to Carmen and Eloise (Henry) Julien. She was a hard worker and had been employed for 34 years at Allegan Metal Finishing as a supervisor. Beth loved her family, especially her grandchildren. In her leisure time she enjoyed camping. On March 30, 2001, Beth married Scott Nickerson, who survives. Also surviving are her daughter, Jodi (Mike) Mannon of Cross Plains, TN; her son, Ron (Brenda) Sutherland of Allegan; 6 grandchildren; 2 great-grandchildren; her mother, Eloise Morris of Allegan; two brothers, Ron (Cheryl) Julien of Vero Beach, FL and Bud Smith of Otsego; several nieces and nephews. She was preceded in death by her father; her sister, Carmen Watson; and her brother in law, Dean Watson. Beth’s family will receive friends from 6 to 8 P.M. Tuesday at the Winkel Funeral Home, Otsego where services will be held at 11:00 A.M. Wednesday, funeral celebrant Bill Rose officiating. Burial will follow at Mallory Cemetery, Allegan. Contributions in memory of Beth may be made to the American Cancer Society. Alanson ‘Al’ Kenyon of Plainwell, Michigan, passed away Thursday, May 20, 2010 in Plainwell. Mr. Kenyon was born April 5, 1920 in Grand Rapids the son of Herman and Lila (Phelps) Kenyon. Al worked at the Willow Run Ford Motor Co. in Ann Arbor making bombers prior to being drafted in WW II. He was an Army veteran of the 10th Mountain Div. where he served as a Rifleman in Italy and earned the Bronze Star. For over 40 years he was employed at Plainwell Paper.In his leisure time Al enjoyed hunting, fishing and wood crafting. On August 25, 1956 in Otsego he married Betty McKibben who preceded him in death in 2007. Surviving are his children, Jackie (Dave) Dutton of Otsego, Al (Karen) Kenyon of South Dakota, son-in-law, Jose’ Santos; his brothers, Leon (Wynetta) Kenyon, Marshall (Rose) Kenyon and a sister Shirley Van Buskirk; brother-in-law, Robert Arehart; 9 grandchildren; 17 great grandchildren and 10 great-great grandchildren. Also preceding him in death were, his daughters, Sally (Rex) Girling, Bonnie Santos and a sister, Eva June Arehart. In keeping with his wishes, cremation has taken place. A Memorial Service will be held at the First Congregational Church of Otsego at 11:00 A.M on Saturday, Pastor Don Ray officiating. Military Honors by V.F.W. Post #3030. Contributions in memory of Al may be made to Wings of Hope Hospice or the American Cancer Society. 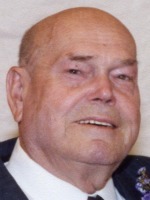 James L. Clark, Sr. of Plainwell (formerly of Otsego) passed away Wednesday, May 19, 2010 in Plainwell. Mr. Clark was born February 3, 1922 in Macon, Georgia. During WWII he served his country in the U.S. Army. Until 1967 he operated the Citgo Gas Station in Plainwell and then was employed for 25 years as a service technician with Koestner Pontiac in Plainwell. Jim was a member of the Otsego Fire Department for over 20 years and was a member of the Otsego Elks #1711 B.P.O.E. In his leisure time he enjoyed his computer, golfing, bowling, hunting and fishing. On May 10, 1947 in Otsego he was married to the former Bonnie McKibbin, who died in 1998. Also preceding him in death were his parents and 8 siblings. Surviving are 3 children, Terry Bell of Illinois, Jim (Geri) Clark of Otsego and Debbie (John) Jones of Allegan; 5 grandchildren and their spouses; 7 great-grandchildren; many nieces and nephews. Jim’s family will receive friends from 2 to 4 Saturday at the Winkel Funeral Home, Otsego, where services will be held at 11:00 A.M. Monday, Chaplain Jeffrey Schmidt officiating. Military Honors at Mountain Home Cemetery, Otsego will be conducted by V.F.W. Post #3030. Contributions in memory of Jim may be made to the William Crispe Community House or Borgess VNA & Hospice. 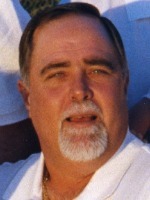 Kevin K. Knobloch, Sr. of Otsego, Michigan, passed away Monday, May 17, 2010 at his home. Kevin was born June 21, 1954 in Plainwell to Vernon and Virginia (Stickel) Knobloch and was a lifelong resident of the area. He was a 1972 graduate of OtsegoHigh School. For 18 years he was employed with the Plainwell Paper Co. and then operated a motel in Reddington Shores, Florida for 17 years. In his leisure time Kevin enjoyed golfing, playing softball, deep sea fishing and was generally a sports fanatic. Surviving are two sons, Jason (Susan) Knobloch of Largo, FL and Kevin Knobloch, Jr. of Otsego; five grandchildren, Teagan, Kaedence, Megan, Zackary and Alex; his sister, Barbara Moran of Mendon; a brother, Dale Knobloch of Otsego; a sister-in-law, Alice Knobloch of Otsego; several nieces and nephews. He was preceded in death by his parents; his son, Dale Knobloch; and two brothers, William Knobloch and Vernon Knobloch, Jr. The family will receive friends from 2 to 4 and 6 to 8 P.M. Thursday at the Winkel Funeral Home, Otsego, where services will be held at 11:00 A.M. Friday, Tim Marsh officiating. Cremation will follow. Contributions in memory of Kevin may be made to the American Lung Association or Make-A-Wish of Michigan. 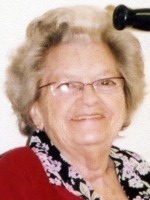 Mildred May Boysen of Otsego, MI passed away Saturday, May 15, 2010, in Plainwell. Mrs. Boysen was born May 19, 1914, in Trowbridge Township, the daughter of Otto and Fern (Russon) Nimtz. Mildred is survived by a daughter, Beverly (Dale) Reich of Otsego; 2 grandchildren, Robin (Rich) Bacon and Todd (Monica) Reich; 2 great-granddaughters, Angela Bacon and Natasha Reich; her sisters, Lulu Lewis and Clara (Jack) Howrigon; a brother Art (Betty) Nimtz; many nieces and nephews. She was preceded in death by her husband Glen; her daughter, Marilyn Boysen; and her son, Dennis Boysen. Friends may meet with the family Tuesday from 10:00 A.M., until the service time of 11:00 A.M. at the Winkel Funeral Home, Otsego, Pastor Merlyn Jones officiating. Interment will follow at Mountain Home Cemetery, Otsego. Those desiring may make memorial contributions to the Otsego First Baptist Church. 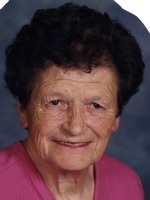 Shirley M. Polmanteer of Otsego passed away Friday, May 14, 2010 in Kalamazoo. Shirley was born May 11, 1935 in Watson Township to Walter and Clara (Decker) Vote. She was a 4H leader for over 31 years and for several years drove the kindergarten school bus for Martin Schools. On May 10, 1958 in Watson, she married Lloyd Polmanteer, who survives. Also surviving are 2 daughters and 1 son, Jackie (Paul) Strobridge of Allegan, Roger (Kelley) Polmanteer of Allegan, Kelli Donovan of Florida; 8 grandchildren, Jeremie, Valerie, Lauren, William, Amanda, Abby, Carlie and Cecil; 3 great grandchildren; sister, Ila (Ferris) Moored of Martin, brother Jerry Vote of Otsego; sister-in-law, Beth Vote of Plainwell; many nieces, nephews and cousins. She was preceded in death by her parents, 2 brothers, Jack and Roger Vote and a sister Judy. Cremation has taken place and a memorial dinner will be Sunday, May 23rd from noon to 2pm at the Watson Township Hall. Memorial contributions may be made to the Allegan County 4H.